The LS0162150P1FNA000 is a commercial quality passive 16-way splitter that meets strict level, match, and loss specifications achieved through the use of Quintech's proprietary microstrip and SMT technology. 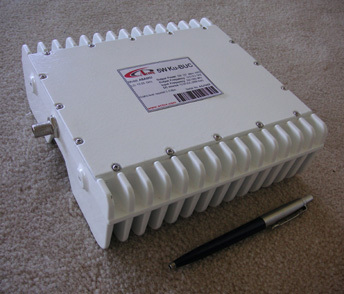 It operates over the 950-2150 MHz frequency range and enables the splitting of RF signals with repeatable performance over the entire frequency range and across all I/O ports. Output port 1 is power passing for LNB power from a satellite receiver. Both DC paths are diode protected; thus, LNB power is redundant if both paths are powered. Note: All unused RF output ports must have 75 Щ terminations. A rear panel terminal is provided for external LNB power insertion.